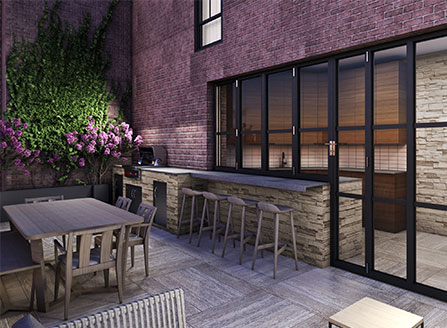 On The Upper West Side. 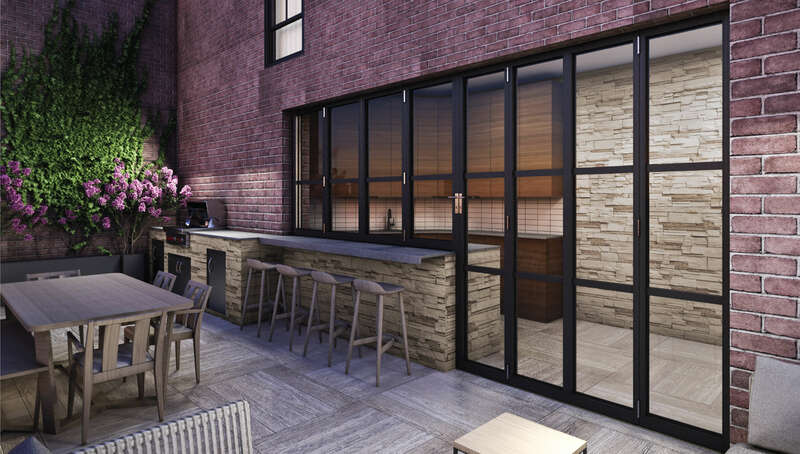 A Residential Beauty On The Upper West Side. 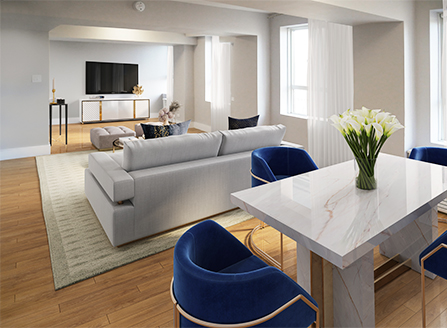 From its chic, Art Deco-inspired lobby to its gracious apartments, The Paris New York was designed with an inimitable pairing of Parisian style and contemporary luxury. 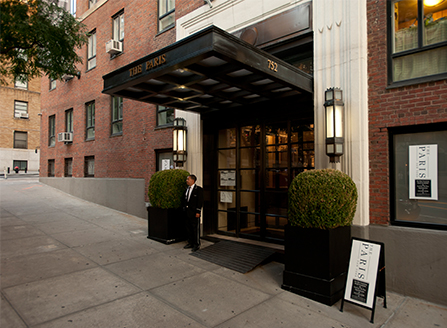 Originally constructed as the Hotel Paris in the 1930s, The Paris New York has been thoroughly reimagined as an elegant boutique residential rental building. 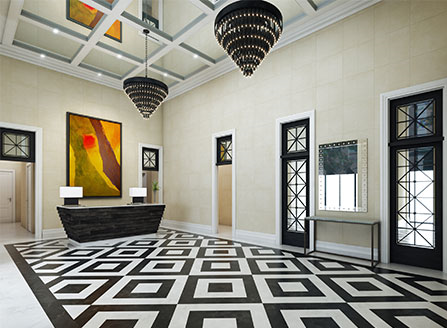 The luxurious marble lobby features a bold black and white marble flooring, striking iron and brass pendants, deeply coffered ceilings with a collection of jewel-toned furnishings to create a welcoming atmosphere for apartment residents and their guests. 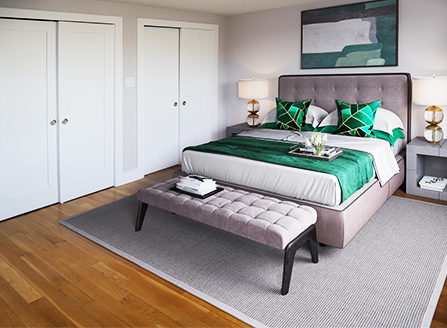 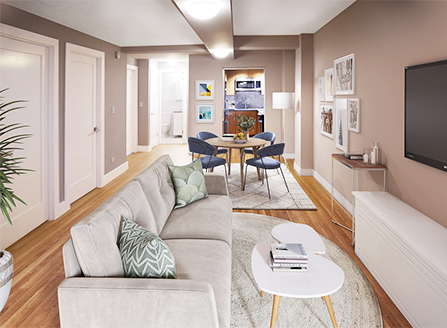 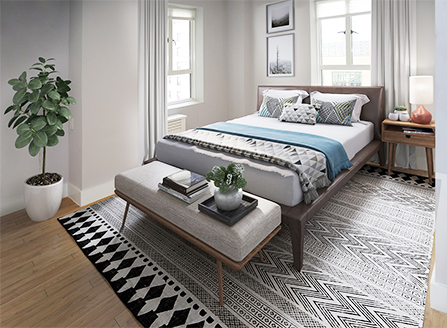 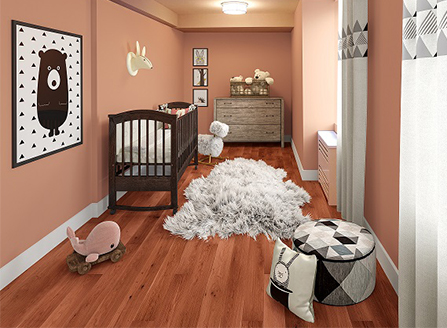 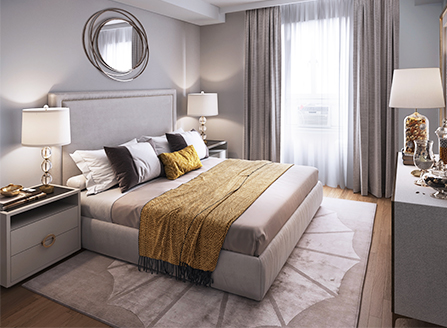 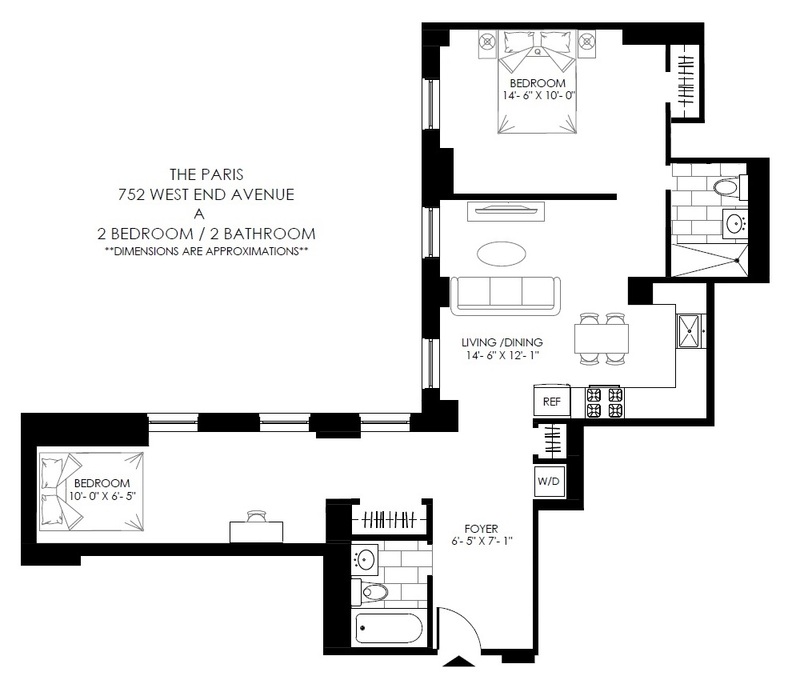 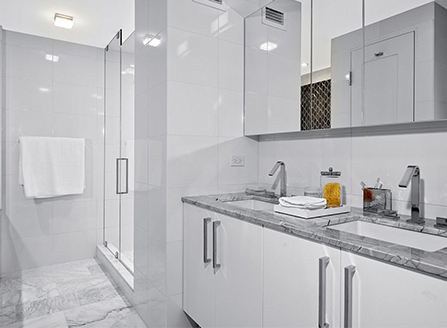 Each apartment at The Paris New York is graciously proportioned and beautifully finished. 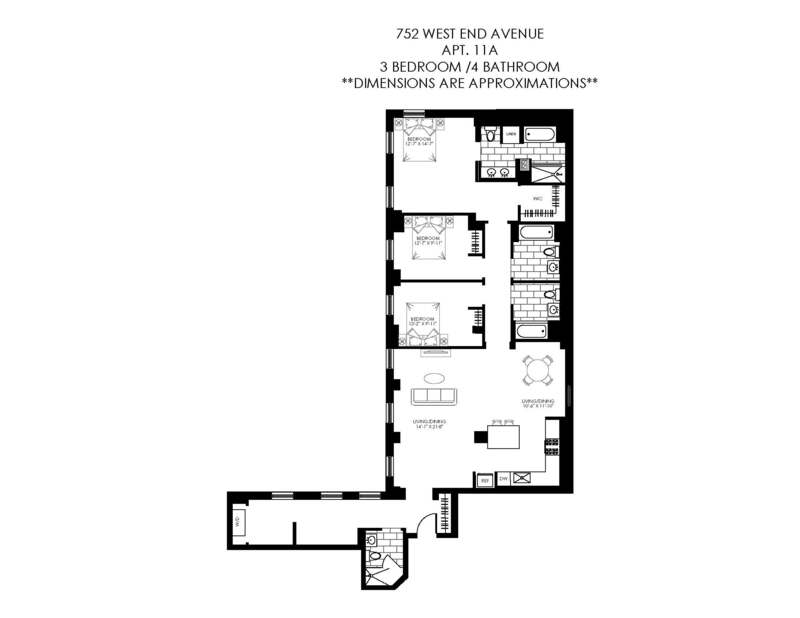 You’ll find spacious living and dining rooms, updated kitchens and sizable bedrooms. 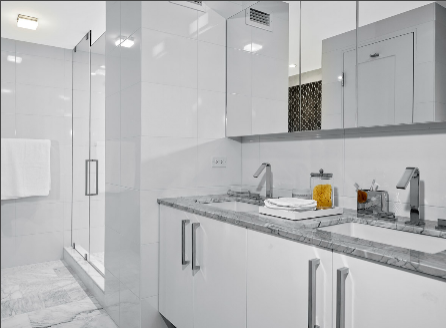 Every aspect of these luxury apartments exhibits excellent craftsmanship and high-end materials. 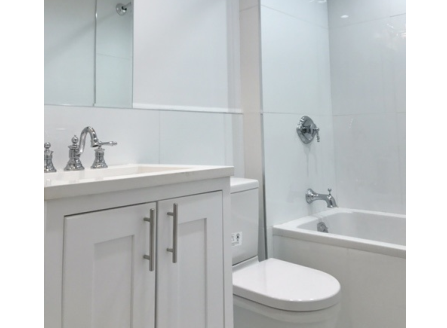 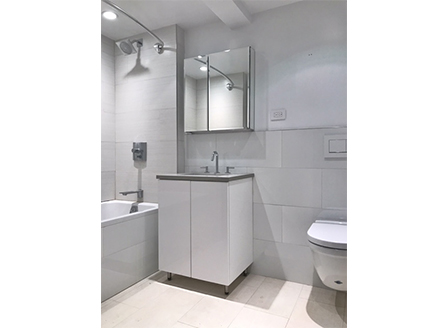 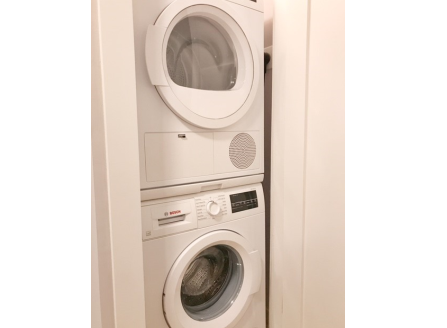 Select apartment floor plans include large closets and secondary bathrooms, and many offer beautiful views of Manhattan's city skyline and the Hudson River. 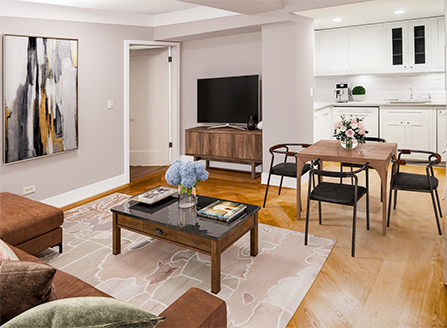 The Paris New York's location affords residents access to the Upper West Side's famous gourmet food markets, ease to express and local subway lines and proximity to the unmatched Central Park. 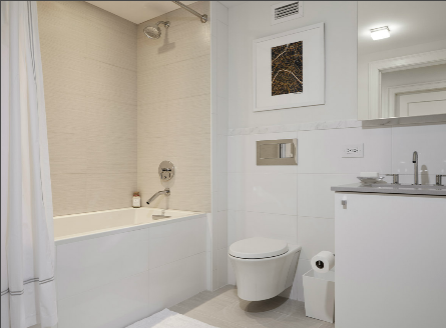 This is where you want to be. 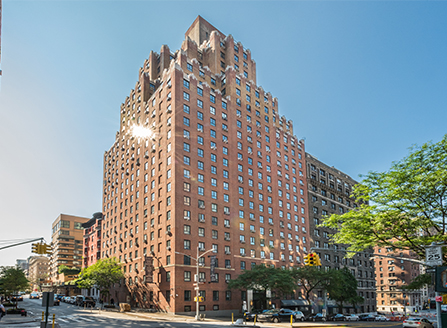 Originally established in 1925 as the Hotel Paris, this full-service, luxury doorman, Art Deco building has long been a preferred residence for discerning Upper West Siders. 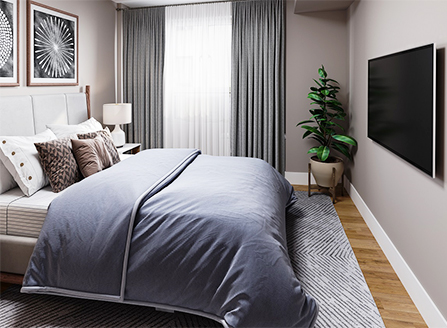 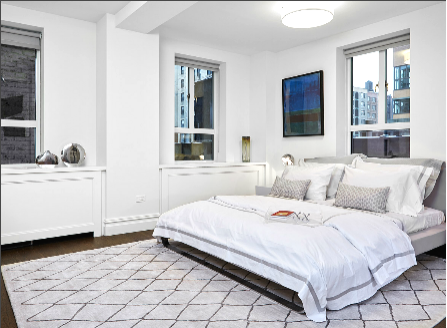 Currently offering an array of inventory ranging from Studios to 4 bedroom apartments appointed with high-end finishes and interiors that savvy New Yorkers have come to expect. 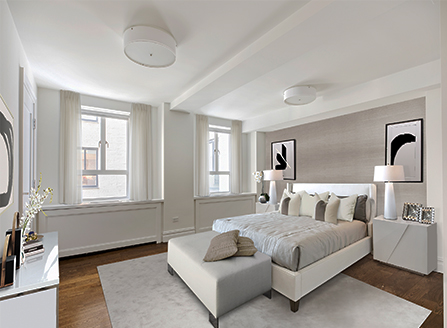 All of which set a new standard for prewar luxury on the Upper West Side. 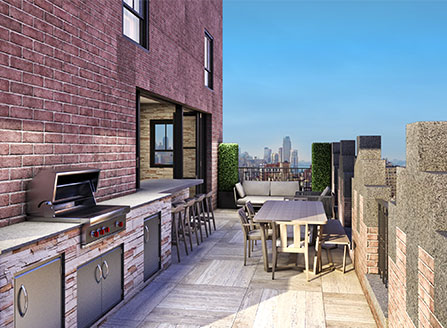 – Building amenities include 24-hour concierge, gym, bike room, package room, and roof deck. 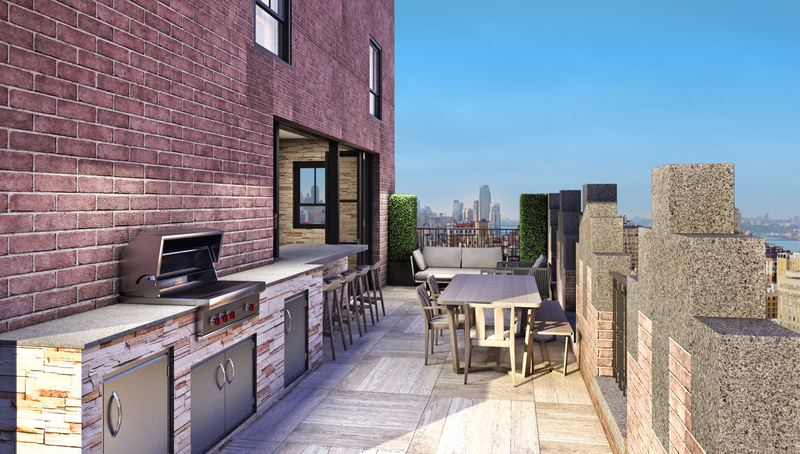 The neighborhood is our unspoken amenity. 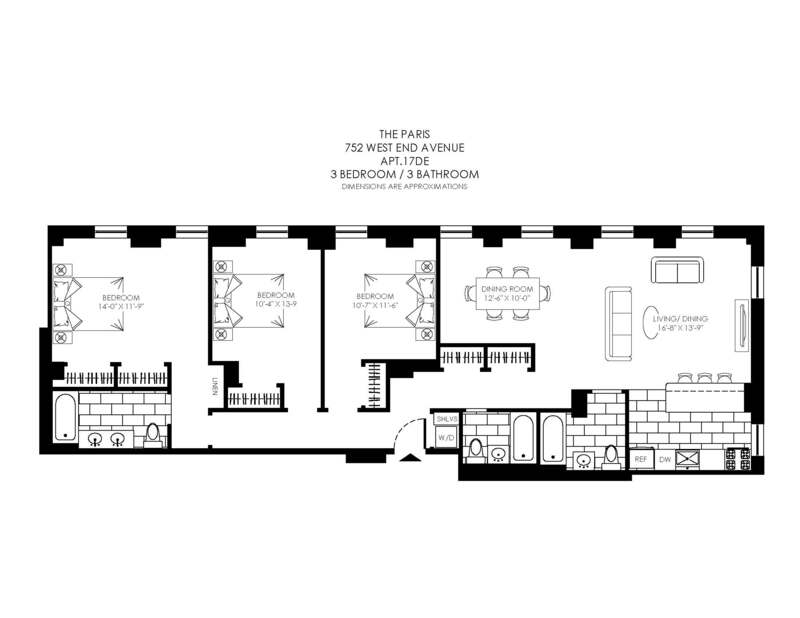 We are located one block from the local 1 and express 2/3 trains at 96th St, and four blocks from the B/C trains! 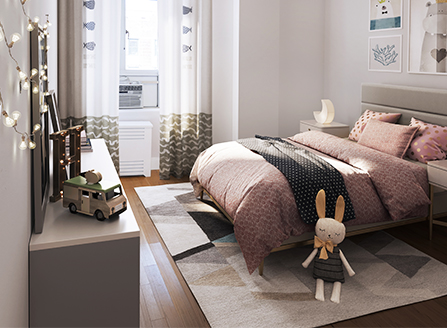 Just a short walk to Riverside Park and Dinosaur Playground, West Side Market, Whole Foods, and some of New York's most notable private and public schools. 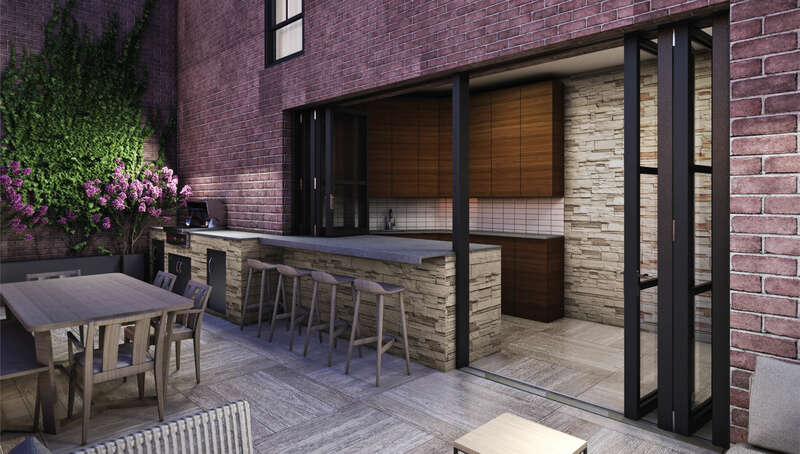 Nestled a block away from the shopping, restaurants, and nightlife of Broadway. 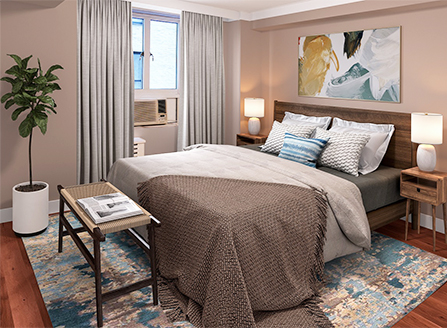 The Paris has something to offer everyone – stop by and see why we might be the perfect fit. 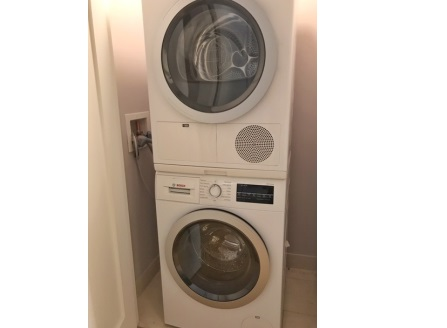 **This unit is interior facing. 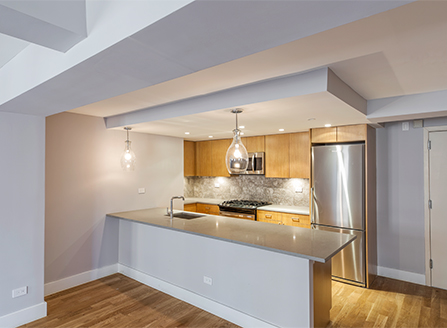 – Open kitchen with custom appliances and an island/breakfast bar. 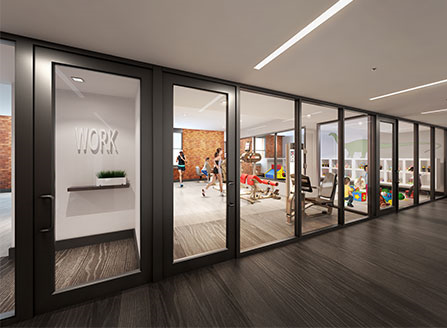 – Building amenities include 24-hour concierge, free gym membership to West End Health & Fitness, bike room, package room, and roof deck. 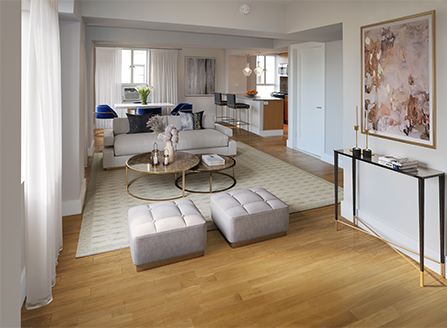 – A large living/dining area, with eastern exposure. 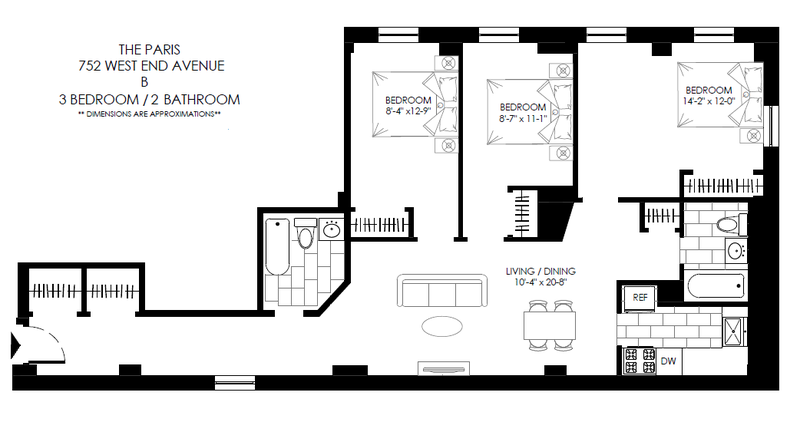 – Spacious master suite with a large walk-in closet, double vanity, and soaking tub. 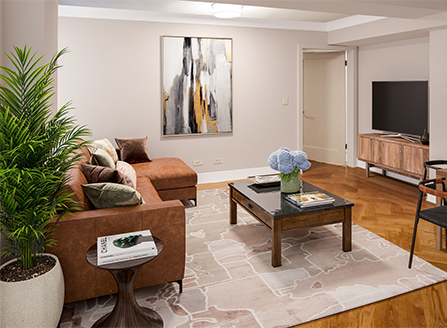 Internationally renowned performing arts centers and museums, charming cafés, acclaimed restaurants, and an impressive selection of retail shopping are at your finger tips. 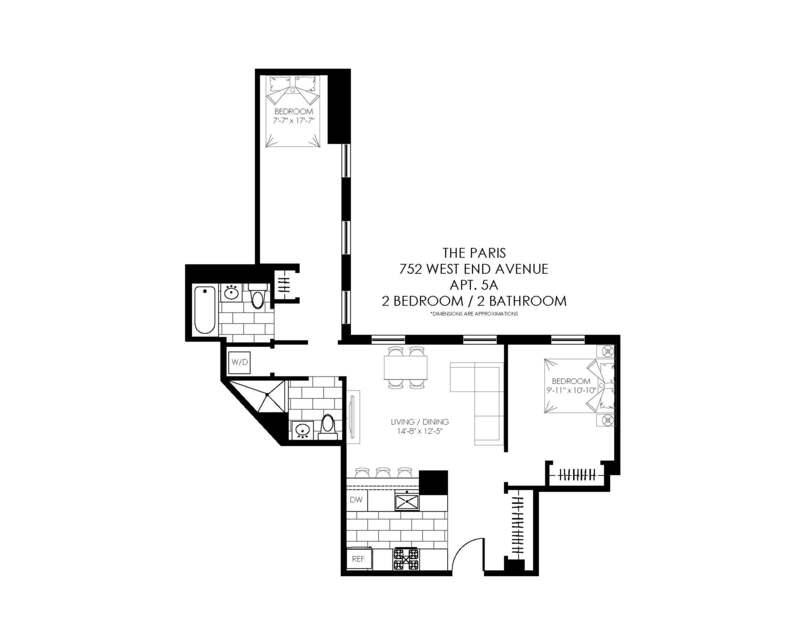 I’m interested in an apartment at The Paris.